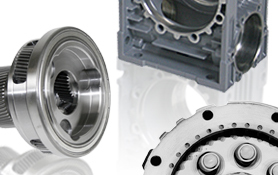 As the leader in high-volume, high quality gearbox production, NIDEC-SHIMPO has the capabilities and technical know-how to be a valuable supplier for any custom OEM requiring high-precision gearing. For NIDEC-SHIMPO, product development is a thorough routine process including adequate selection of materials, dimensioning of the assemblies, and gearbox design. 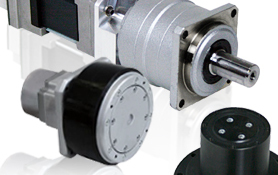 Regardless if its modifications to one of our existing base platforms or a complete design of an OEM gearmotor assembly, our engineering group will support you through the entire product development cycle. Any custom gear solution provided by NIDEC-SHIMPO will address the specific needs of the application, and our customer can rest on the fact that they are receiving the ultimate in performance while allowing them to be competitive in the intense global marketplace. Review some of these examples of custom solutions for OEMs, and consider the range of possibilities where leveraging our strengths improve your business. NIDEC-SHIMPO welcomes any discussion on the OEM level, so please do not hesitate to bring to us any motion control or gear related challenges that you are facing today.